« Teabreak’s Blogger of the Month! I think I have always had the desire, the longing to visit Delhi. It was like being born with a nostalgia for a place I had never seen, and I know that you can only have nostalgia for what you have seen and lost. Having migrated to Karachi from Delhi at the time of the partition of the Indian subcontinent, my khalas (maternal aunts) spent many an afternoon with the children of the family gathered around them in a circle to hear stories of Chandni Chowk and Connaught Place. An eccentric, elderly uncle of my father who claimed to have not just talked to but dined with ghosts (as nostalgia would have it only ever in the streets of Delhi) narrated epic tales of the city’s nightlife. My friends and I were roaming the gallis of Dilli in the late evening when we came upon a marquis. It was so grand we were tempted to take a peek. What we saw was a wedding feast with tantalising aromas, fine china and dazzling cutlery. Men and women dressed in the finest of silks, bejeweled like rajas and ranis, nawabs and begums. If you were to let your eyes rest for a moment too long, you would be blinded by the sparkle. “It wouldn’t hurt to step in for a closer look,” I whispered to my friends. Reluctantly, they let me persuade them. As we walked in to the light, a turbaned man appeared to my side. I thought with alarm that surely we had been caught and were going to be tossed out into the street by the scruffs of our necks. Instead, he folded his hands in front of him in greeting, and handed each one of us a dinner plate, indicating that we should join the party. I looked down at my shabby white cotton kurta pajama, but did not dare to question the gods, and dived right in. Ah, what qorma and what biryani – such delicate and subtle flavours, the likes of which I had never before tasted. When we had had our fill, and were eyeing the exit, the dark-skinned man who had welcomed us reappeared. He asked me if my friends and I were sated, and if there was anything further we would require. Puzzled and wary, I thanked him in guarded tones. “It was my honour,” replied our host. “Now you can tell the story of how you met, talked to and dined with ghosts.” As my mouth opened in a gasp of horror, the wedding, its guests, the lights all under the marquis vanished in front of our very eyes, and we were left standing in a dark alleyway of Dilli. This uncle’s stories somehow always ended with the characters revealed as ghosts. It could be that his Dilli was magical and full of possibilities, or that the city had become a ghost that haunted him, or maybe I’m reading far too much into it and he just liked telling kids horror stories. Several times I made plans to travel there, but each time for whatever reason my trip was cancelled. Suffice it to say, I was full of anticipation when I got on that plane a couple of weeks ago, and I have to tell you this amazing city did not disappoint. If anything, Delhi exceeded my expectations. What I was immediately struck by was that you see women everywhere. Women of all ages and classes are walking in the streets. They are out for a stroll in the evening. They are waiting for the bus. Women from their fifties to their twenties can be seen driving motorcycles and scooters. They are shopkeepers, bankers – they’re even construction workers! And while one hears of problems of ‘eve-teasing’, a term I’ve only ever seen used in India where women are harassed most commonly on buses, clearly women still feel free and secure enough to be out and about, not cloistered at home. To be frank, I’ve experienced catcalls and wolf whistles in New York – in other words, men can be barbaric no matter where in the world you might be, and that’s just how it is! I couldn’t believe it. I went in and sat down. Soon people started arriving. There was no fanfare, no photo opportunities. They quietly came in and seated themselves. Once again, I found it remarkable that at least eighty percent of the audience was women. Single women, women in groups. There were women in their teens dressed in jeans and sneakers. Women with long grey hair. Women of all ages. Women in silk saris. Women in worn cotton saris who could have been one of the construction workers I had seen earlier in the day. This too was a unique sight, this remnant of socialism. Nowhere in my travels have I seen people across the classes sit beside each other for an hour-long performance. Perhaps that is what lends the people the humility I saw everywhere. Or maybe that is the culture of the city, the country, the nation. Everywhere I went, I expected the arrogance of which I had heard, of a rising global power. Instead in the streets, the shops, the restaurants and in the homes, I only found a humble, modest people. Even in a political protest that I happened to witness, there was great civility. I was sitting in an auto (short for auto rickshaw) when all traffic came to a halt. “Must be a minister,” I said to the auto-driver. “Ministers don’t stop traffic. They travel with the janta,” he replied. “This is a protest rally.” In a few minutes, a procession of women and men carrying placards with Devnagri script walked by us. A young woman who must have been in her mid-twenties and wore a kurta pajama walked up to my auto with a flyer in her hand, but she did not simply fling the papers at me and walk ahead. She stopped and asked, “Do you all read Hindi?” When I responded in the negative, she said, “This is a Human Rights Association protest for the right to food.” With that she moved on to the next vehicle. I’ve tried to give some sense of my trip, but the most striking aspect was the complete familiarity I felt. As I walked down Connaught Place and took pictures to show my parents who have for their own reasons not been able to return to the city of their origin, I felt that I had been there before. The smell of the air, the language I heard, the faces I saw were my own. If you were looking for a political analysis of India or Pakistan-India relations, I hope you’re not too disappointed. I wasn’t quite expecting the post that I have written but then the city surprised me in many ways, and I wanted to share my experience with you. Great post. Very refreshing and it really captures the city well. We missed you on Breakfast at Dawn. Dehli is a historic city. My mother was educated in Simla and Dehli in school. She did tell us a few things about old city. One of her uncles ran a newspaper uptil his death a few years back.This city has a goldmine of history. I wish some one would blog about contemporary events and people of this city, especially just before and immediately after partition. We know so little about these people who were there and who continued to inhabit Dehli.A kind of sociological profile.What are the main poets there, what are the newspapers and magazines,who is in the social scene, art scene etc.Somehow I feel Karachi in 50’s and 60’s was like Dehli, dont know , maybe some one can tell. What I was immediately struck by was that you see women everywhere. Women of all ages and classes are walking in the streets. They are out for a stroll in the evening. They are waiting for the bus. Women from their fifties to their twenties can be seen driving motorcycles and scooters. They are shopkeepers, bankers – they’re even construction workers! Women owned stalls and kiosks and thelas. School and College girls also rode bicycles through the traffic. Naveen, its really good n unforgatable excursion. The first time I visited Delhi, the metro was under construction and I was so impressed to see the undergoing work at a congested place like chandni chook, imagine the metro digging at bohri bazar/empress market Karachi. As I reach on the last lines of your Delhi experience I feel like marquis vanished in front of my laptop screen, and I am left staring at – Leave a Reply – type here empty box. Without a doubt you are as good story teller as elderly uncle of your father. Even a Delhiwala after reading this will fall in love of his city and forget marching on streets for the right to food. Marching on the streets of Delhi was not for themselves but for the millions who still find it hard to have a meal a day in various parts of India. It is that absence of women that most troubles me living here. Half of the population seem to be living behind the curtain. I will never get used to it, no matter how long I remain here. I’m glad you enjoyed Delhi. It is a rather wonderful city. But I can’t help feeling that with Partition and the emigration of North India’s Urdu speaking population, Delhi lost a bit of her soul. We lost Hindustani – that beautiful mixture of Hindi & Urdu and of course we lost generations of people. Just as Urdu has become more Arabized in Pakistan, Hindi faces continual pressure to Sanscritise and rid itself of all Urdu words and expressions. Partition killed the Subcontinental soul. For anybody interested in Delhi, I highly reccomend Kushwant Singh’s Delhi: A Novel. A very nice piece about a city that I’d love to visit, and that fascinates me from afar. The remarks on the egalitarian spirit of the city were intriguing. William Dalrymple, _City of Djinns_ (1994); the then young British author writes of his fascination with the old city of the late C20th (where he lived for some time) and with its past; fascinating portraits and quite a lot about the the demographic transformation wrought on the city by Partition. If there’s anyone reading the blog who shares my fascination from afar, I warmly recommend both books. Apologies if recommending them seems a statement of the obvious to most readers. Michael, thanks for your comment and your recommended reading. I haven’t read Ahmed Ali’s Twilight in Delhi. I’m glad you brought it to my attention. Well I cudnt understand onething why u guys always draw parelles between bharat and pakistan.Simply u shud ve narrated ur dilli experience but u competed with ur country.seeing women everywhere fascinated u and u fell in love with bharat.U ve seen no arrogance in streets but im sure u know how arrogant is the bharati state.Dont get hoodwinked by this cosmetic drama of the bharati societry.wait for some event and see the very same people how they lost all the decency.U r a journalist so I dont need to dig much earth to tell u abt the state of minorities in bharat.Yes we have problems here in Pakistan in different walks of life but that doesnt mean feeling low to bharat. Actually, Mosadique, I didn’t make a comparison. Maybe you did… I made an observation. As a woman, I was impressed by the freedom I saw, and thought it worthy of mention. Thanks for reading. Quite an enlightening piece. I loved it in that such first-hand pieces help one dispel the self-assumed notions we all tend to create when fed with false and biased accounts. you’ve never heard the term “eve-teasing” in pakistan? seriously? i grew up reading it in dawn and thinking, man, this must be one of those only-in-pakistan phrases. Now that you say it, Sana, I do recall it. I remember a series of articles about eve-teasing particularly on public transport buses. Lucky! I would like to see Karachi, my folks originally from there. Peshawar, Khyber pass I imagine would be lot more exotic than anything I’ve ever seen. Maybe some day & perhaps write about it. It was nice reading a positive piece about our neighbor. I am glad you managed to have a great time in Delhi. Your description of Delhi was quite visual in a way. Sometimes I wish it were easier for Pakistanis to travel to India and vice versa. There is a lot of rich cultural history associated with the sub continent. It’s a pity that due to all the politics people are missing out on a lot of stuff. lol….come on! !, you were not in Saudi Arabia, it is India we are talking about, and since when did rich sitting with the poor become socialism? Glad you enjoyed Dilli, India, Naveen. Yes, visiting any new place can be an eye-opener, but Pakistanis have especially been fed a lot of tripe about India in part to rationalize its the circumstances of its creation and existence. 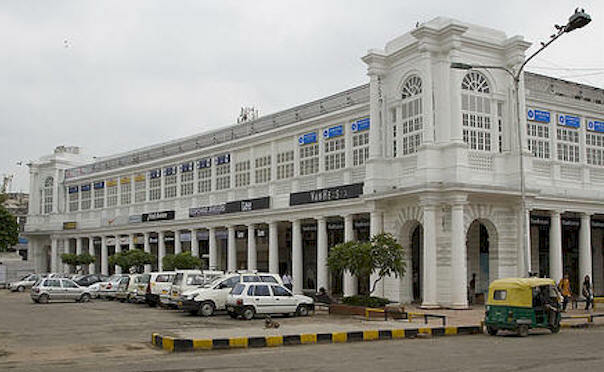 If you are still in India do come down south…it gets more civilized as you travel further south (just kidding:). Hope you have a great time in India, north or south, and go back with warm memories of our affection. We have nothing against individual Pakistanis, who can be fine people; our only issue is with a hate-filled, poisonous ideology of any religion or denomination. In India, we have managed to contain it although it rears its head from time to time. We hope Pakistan can do the same, but sadly, it appears the very basis for defending Pakistan is spewing hate against India. You are one of the few to speak differently and I hope people like you can temper and change the discourse in Pakistan. Best wishes. Delhi needs to be dismantled and India should have a roving capital – 6 months in Dharavi, 6 months in Sikkim, 6 months in Arunachal Pradesh, 6 months in Kargil, 6 months in Kanyakumari, 6 months under the Hawra bridge and 6 months in GadChiroli. Every brick of Delhi is illgotten after exploiting millions of local toiling masses by Jiziya, brutal salt taxes and indenture labor on indigo and cotton farms. Real progress in India has happened not because of its Ayashi elite but because of Bhoodan of Vinoba, landreforms of Nehru, Gandhis embracing of the toiling dirty masses of India. Permanernt capital of India needs to be in Vardha. New pilgrimage places of India are its IITs, IIMs and AIMSs. When you visit these places then you will have understanding of why India is progressing inspite of its Laloos, Banatwalas and Deoband. It’s beautiful to read your appreciation of my city. Loved the way you have brought out the facets to your country mates. On behalf of Delhiites, you are always welcome and feel the city grow on you. Won’t it be better that Delhites like us should also get a chance to visit Lahore and Karachi? BTW, your article was very well written, I am falling in love with my city again since work has now taken me to Chennai. Hey come down to the South of India. I live in Bangalore and I can tell you South of India is much better than the north. Not because I live here but because its my honest opinion. Visit the Backwaters of Kerala, the temple of Khajuraho(The only temple in the world dedicated to love and its physical manifestation. ), The Taj Mahal, Kanyakumari, Temples of Madurai, Pink City of Jaipur,etc.. You have started my friend. Please visit India more often. The day Delhi is considered egalitarian is the day when pigs fly. Visit Mumbai. Dirty, filthy, crowded, traffic doesnt move, humid & loud – but everybody is an equal. The rich jostle with the poor for a seat in the Mumbai suburban. Women punch and kick as well as any man. The city never sleeps and you can buy everything from a sewing needle to an airplane. i wanna say India is not just Mumbai and Delhi.. The south is buzzling too.. Bangalore is the gem of the South. It currently has the highest concentration of skilled labour in India and probably in Asia.. That is not a mean achievement.. Its the Tech City..
..i quite liked ur narrative of Delhi..taareef kise buri lagti hai..but it is lucid,..very well observed and of course very well enjoyed by you while writing it and very well enjoyed by me while reading it..KEEP VISITING DELHI AND OTHER PARTS OF INDIA.. I just came upon this blog and I must say it’s a beautiful tribute to Delhi. Meanwhile I remain an optimist and I do believe there will come a day when like in the EU, our people will be able to visit each other’s countries without much hassle.